Producing motorcycles and riding apparel since 1899 and 1926 respectively, both Royal Enfield and Lewis Leathers hold a unique place in motorcycling history. 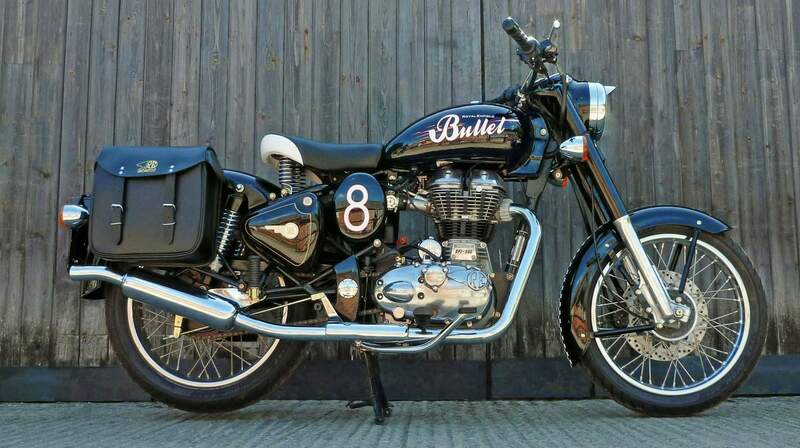 To celebrate the latest development of the legendary 500cc Bullet, Royal Enfield and Lewis Leathers have joined forces to create the limited edition Lewis Leathers limited edition Bullet Classic 500. 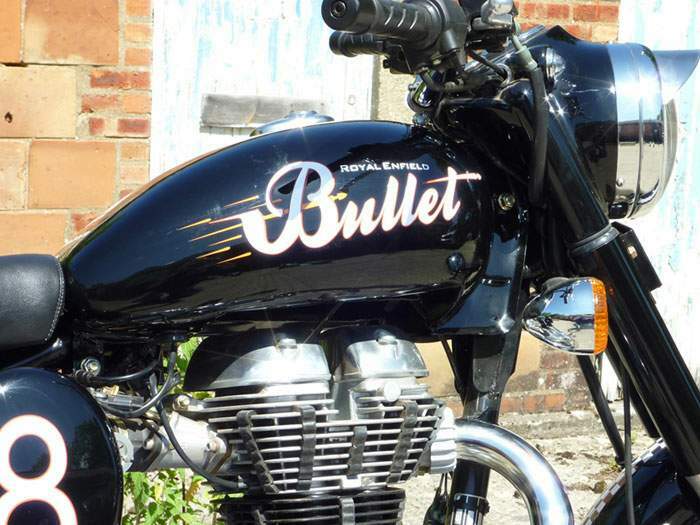 From an idea conceived by vintage style aficionado Nick Clements,, of the Royal College of Art (London), the Lewis Leathers Bullet is based on the 2009-model Bullet Classic motorcycle that is powered by the company’s new fuel-injected 500cc single cylinder engine. 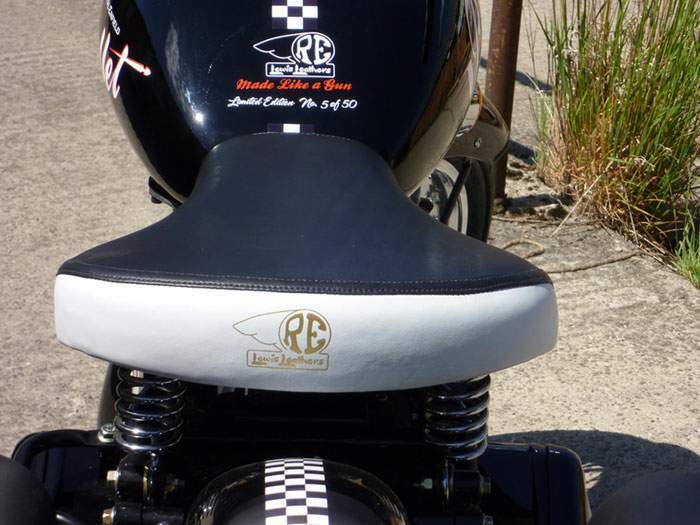 Featuring a special paint scheme and graphics, plus two-tone solo leather seat and Lewis Leathers embossed panniers, production is limited to just 50 machines, all of which will be individually numbered. Performance is given a boost with the addition of an upswept sports silencer. The release of Royal Enfield Lewis Leathers Bullet Classic special coincides with a limited run of Lewis Leathers dedicated to the Royal Enfield marque.